If you are moving forward in the path of success, then you should assume one thing very well that the first failure has to face in the path. There is no such successful person who has got success without facing failure. People always get success after failing. Many people come back after being frustrated with failure or start blaming their luck and never succeed. By considering these 6 points in the event of failure, you can move on to the path of success again. Failure in the path of success is fixed. Success and failure are two sides of a coin. Failure reveals our weaknesses and we get lessons from it. Rather than rejecting failure, we should improve it by knowing its causes. After knowing our weaknesses, we can improve them and again move on to the path of success. Improving our deficiencies gives us the strength to move forward with excitement. Failure does not prevent us from achieving success but gives the sight of the knowledge necessary to achieve success. 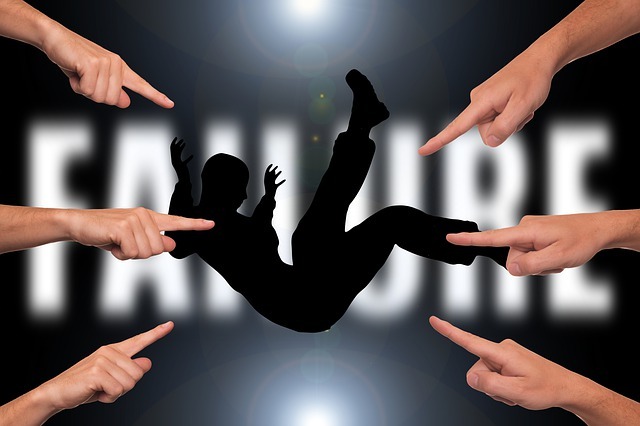 Failure has been defamed by vulnerable people, but the failure comes to mature us. If we fail, we should not give up. In the event of failure, should address your shortcomings and go ahead by fulfilling those shortcomings. When we walk on the path of success, we find many new things that we don’t know about. We can move forward only by learning those new skills. When we learn new things and overcome the shortcomings, confidence in us increases, due to which we move forward again. We should not be scared of learning new skills, you constantly feel alive by learning new talents. Life is in continuity. In the event of failure, we should think before deciding any adverse decision that why we started it, by doing this, we will understand the importance of success. we will get the same enthusiasm again with which we started before, with this enthusiasm, we will rise again and will be back at work. Often we are afraid of failure because we have only hoped for success. We must also always be prepared for failure. When we begin to think from the beginning by calming our mind, failure seems normal to us. By accepting our failure, we should emphasize that why we want this success because for some reason we started this journey. When there was so much power in that cause that you started your work, then it would be so powerful that it could move you again. Regardless of the negative circumstances, do not let your confidence weaken. Only by self-confidence, you can achieve success, if it ends, you will never succeed. There is so much power in self-confidence that it makes path even in adverse situations. Inspired by confidence, you search for a way out of the opposite situation and you get success with continuous effort. With confidence, we can also pull down the big wall of failure. It has the power in confidence that it gives flowers on the wasteland, turns disappointment into hope, converts failure into success. Success is the result of our small continuous efforts. If you fail, you need to be strong, not to blame your fate. Luck depends on our actions and efforts. In the case of failure, most people start believing that success is not in their destiny, But it is not so, with persistence and constant effort, any failure can be overcome. The winner is the one who fights till the end, not the one who leaves the field and runs away. Successful individuals such as Thomas Edison, Elnar Roosevelt, and Henry Ford wrote their fate ownself, these people did not give up their failure as fate but recorded their success in the pages of history. If you have the stubbornness of achieving success then you will be able to overcome bigger problems too. If we fail, we should not drown in mourning. Sinking into grief means to take yourself towards the dark side. Sometimes we should give relax to our mind and body by getting out from things. By resting our body and mind, we are filled with strength and enthusiasm. Sitting in natural places and enjoying the beauty of nature creates a positive outlook.